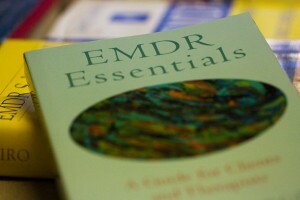 EMDR Training in Denver Tech Center / Englewood, Colorado - Complete EMDR Training Package - Part 1: July 12, 2019 to July 14, 2019 - Part 2: September 20, 2019 to September 22, 2019 - Includes two three-day weekends and 10 Hours of Group Consultation - Prior to registration and providing payment, you MUST review the Participant Agreement and confirm your eligibility (or receive written confirmation from the Maiberger Institute if you do not qualify under the terms in the Participant Agreement) and upon registration, you must expressly agree to the Participant Agreement. Payment is due at time of registration, and must be made online via credit (Visa/MasterCard only). Price quoted on the Registration Form is the payment amount due at time of registration, and automatically adjusted for fees and discounts in real-time and includes consultations hours. If you are found to be ineligible after registration and payment is provided or cancel your registration before the start of training, your seat and registration will be automatically cancelled, and you will be refunded your registration payment, minus a non-refundable and non-transferrable $350 Administrative Fee. There are no refunds on or after start date of training. Seats, registrations, payments, fees, credits, and hours cannot be transferred to other trainings, or to other persons after registration and payment is received by the Maiberger Institute. Therapists can also use their favorite travel websites such as Hotels.com, Orbitz.com, or even GoogleMaps to make travel accommodations. Registrants are responsible for arranging their own travel (accommodations, transportation, and meals). Registration Fee for this workshop does not include cost of travel. The Maiberger Institute is not liable for refunds for travel expenses due to cancellations. Please contact Cyndi at Hyatt House for available rates on rooms blocked out for participants of Maiberger Institute trainings.